Yeah, but: I've actually liked it from the very beginning. The Long Version: There's a lot that's been said about the addition to Toronto's Royal Ontario Museum, which means this will be a very short review. Superficially, it's a daring and unique structure -- just like all of the projects done by Daniel Libeskind. The ROM is strikingly unique, strikingly like many other striking structures. Jørn Utzon hasn't felt the need to revisit the theme he used in Sydney. I like modern architecture, I like the addition, and I like the way the original building has been preserved. 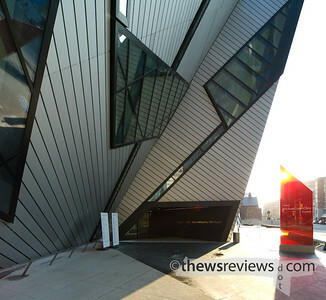 It's just a pity that the ROM has settled for a cookie-cutter tourist attraction.